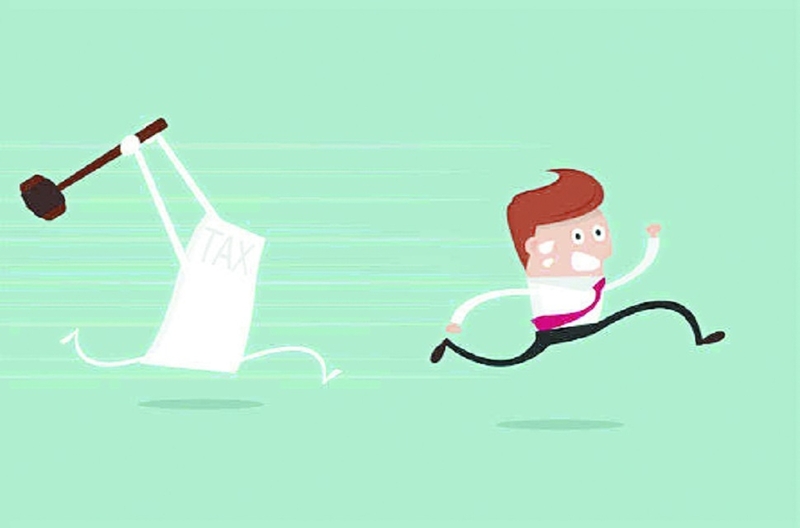 The Central Board of Direct Taxes (CBDT) had issued the internal instruction to all the Principal Commissioner of Income-Tax Department across India to take “all possible action” with respect to recovery of arrears and current demand to achieve shortfall of 15 per cent in the targeted revenue collection for current financial year. Kailash Jogani, Past President of Nagpur Chamber of Commerce Limited (NCCL) has strongly opposed such type of directives which causes a great deal of concern in the minds of taxpayers as it is bound to create unrealistic pressure on the tax officers on the field to recover taxes and that too within few days before the financial year ends. “Such pressure invariably end-up in unreasonable and harsh measure being taken to detriment of taxpayers. Such a situation is in a sharp contrast to the stated motto of the Government of ushering in a tax payers friendly regime,” he pointed out. There are thousands of cases across India where demands could have been raised on account of mismatch of prepaid taxes, pending disposals of rectification applications Under Section 154 of the Income-Tax Act, 1961, giving effect of orders of CIT(A) or ITAT and non intimation of manual rectification carried out by Assessing Officer to Centralised Processing Centre (CPC), he said. “Moreover in a large number of cases, the demands are disputed in appeal and the concerned taxpayers have a very high chances of succeeding the appeals,” he added. “Against this background, Nagpur Chamber of Commerce Limited want to request the Union Finance Minister Arun Jaitley and Prime Minister Narendra Modi to instruct the officials of Finance Ministry, CBDT and Income-Tax Department not to take any action which is not in the larger interest of the taxpaying community. In future also Government should adopt the recovery measures after following the due process of law,” said Anil Sharma, Secretary of Nagpur Chamber of Commerce Ltd.
To achieve the year-end targets, Government in all sectors should avoid the coercive and harsh action that would cause harassment to the general public and taxpayers. The other example is year-end vehicle checking to fulfill RTO collection, same with Corporation Tax, bank also window dressed their deposits and loans in the last week of March. “These all should be stopped somewhere. The tax targets should be realistic. In order to control fiscal deficit, the best way is to control the Government unplanned expenditure and wasteful subsidies,” Sharma suggested. FM, PM should intervene: Anil Sharma “Nagpur Chamber of Commerce Limited want to request the Union Finance Minister Arun Jaitley and Prime Minister Narendra Modi to instruct the officials of Finance Ministry, CBDT and Income-Tax Department not to take any action which is not in the larger interest of the taxpaying community. In future also Government should adopt the recovery measures after following the due process of law,” said Anil Sharma, Secretary of NCCL.